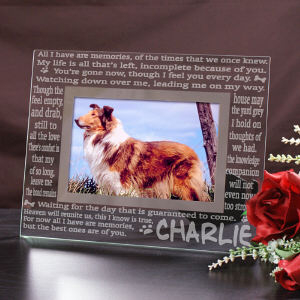 Pictures are sometimes the best way to remember the good times of the past. 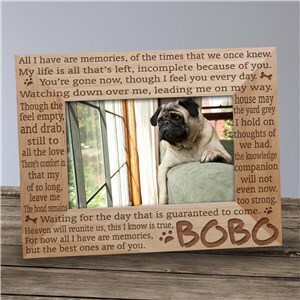 After a loved family pet has passed away, coping with the loss can be helped along by remembering the fun times that you had with your buddy. 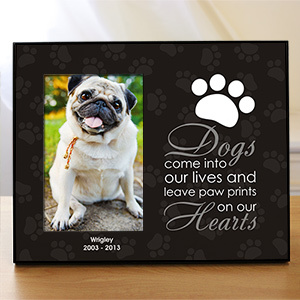 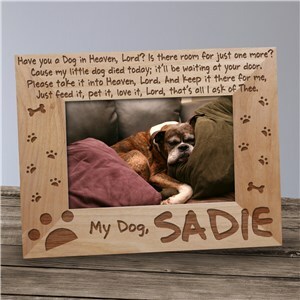 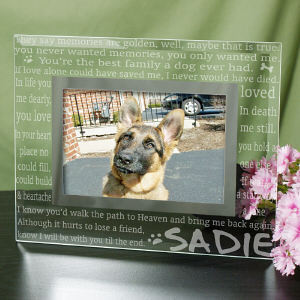 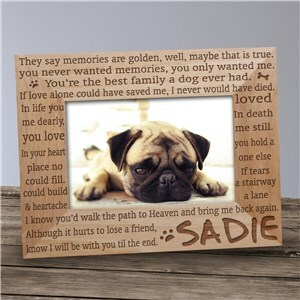 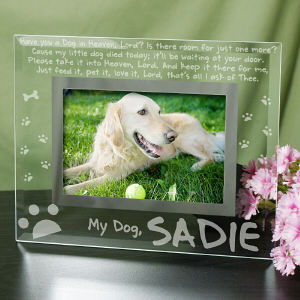 Shop our personalized pet memorial picture frames to find the best way to display your favorite photo of your favorite pet.